Five-time U.S. national team member and 2012 Paralympian Andrew Johnson has set the bar high in his first 23 years. Born blind, Johnson has been nothing short of a visionary when it comes to pushing himself to new and greater heights, including hiking to the top of Machu Picchu while in high school, and building on a strong early foundation in rowing to reach the Paralympics last year. Here, we catch up with Andrew on his athletic background, what motivates him, and his personal highlights to date in his young, but already well decorated, racing career. RR: Looking over your bio, you’ve accomplished some pretty impressive things at the ripe old age of 23. How did you get into rowing, and what was it that grabbed you about it from the beginning? AJ: I think the main draw for me, the thing that got me into rowing, was that it was a sport that I could do with all my friends. There are a lot of blind-friendly sports, but in most cases, the sport itself changes in some ways—for rowing, I realized that you are the one who has to adapt. That, and the fact that I could do it with my high school classmates, were both strong incentives for me. I had always been interested in athletics, and I’d done a lot of hiking, rock climbing, swimming, sailing, skiing, etc.—I’d done all that but I couldn’t do those sports competitively, so there was this element missing from my life when I started high school: the competitive aspect was really big for me. As soon as I began rowing, I fell in love with it. 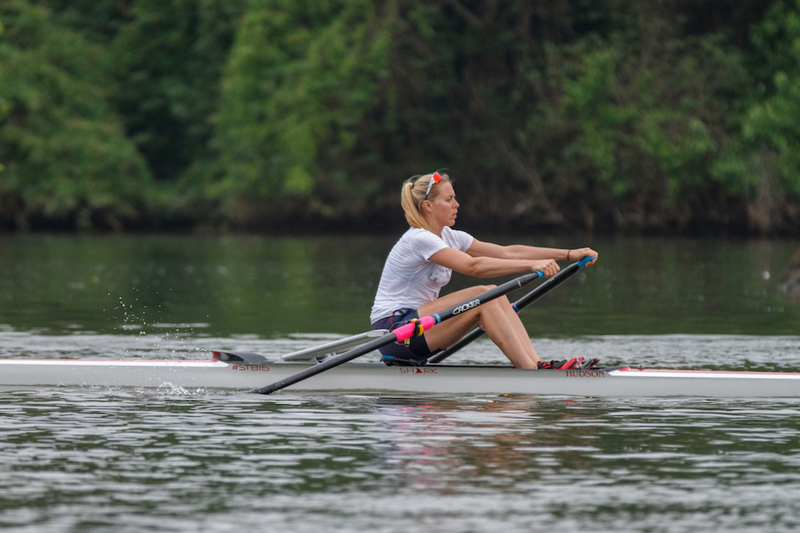 The motion, the mindset that you need to have as a rower—both appealed very strongly to me. RR: You mentioned hiking and climbing—you got to meet your childhood hero, and hike with him up Machu Picchu. That sounds amazing! How did that happen? Can you describe that experience a little? AJ: Ha! Yes, that was pretty badass, I have to say [laughs]. I got the opportunity during my freshman year of high school to go to a conference called No Barriers, which is an event where they encourage people of all ability levels and with all sorts of different disabilities to come out and experience the outdoors. You meet people like a guy who was pinned under a boulder for three days, had to get his legs amputated, and five months later is hiking again with artificial limbs. It was there that I met Erik Weihenmayer, who is the first and only blind man to climb Mount Everest, and he told me that he was organizing a trip for the following summer with kids from all over the U.S., heading to Peru and hiking Machu Picchu. I immediately wanted to be a part of it. I came to my parents with the idea, and they said I could do it as long as I could raise the money. I did a bunch of fundraising, and received a great deal of support that way—in the end, I got to go. It was a six-day hike, about 50 miles, and we got up to around 15,000 feet at the highest point. It was just after my sophomore year of high school, and also right after the first USRowing national team selection camp that I ever attended—it was a really cool summer for me, very transformative. It was the first time that I truly realized how far beyond myself I could go, and I would say that that summer, through national team camp and getting to hike the Andes, that’s when I first got the hunger to see how far I could push myself. I felt like I wanted more, and thought about how I could structure my life in such a way I could do this all the time. RR: Now, having been a Paralympian and a national team member five times, what are some of your personal highlights from your rowing career? Do the Paralympics stand out for you as the pinnacle, or is there another race where you felt that you had really begun to come into your own on the international stage? AJ: London was great. Really, that was where I felt I came into my own as a rower. Every year I’m always looking to find new ways to better the previous one—so far each competition has been more fun and rewarding than the last. Another big highlight was actually the semifinal race in 2011 [at the world championships in Bled, Slovenia], when we qualified for the Paralympics. It had been a bit of a question mark—we had hoped to do it, but getting it out of the way was huge, and we were all very happy with how we rowed that race. But London was fantastic, just being able to be there and race at the top of my game along with my teammates, against all those other countries and athletes who had also been working tremendously hard. 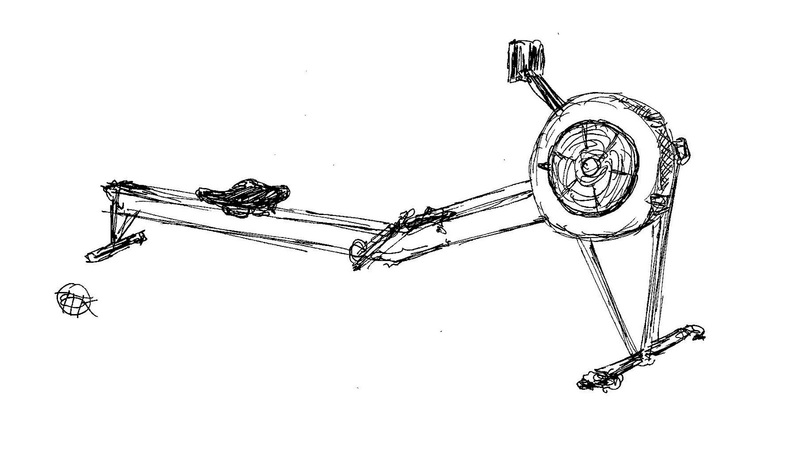 RR: Now you’re gearing up for the 2013 World Rowing Championships in Chungju. Are you excited to be kicking off a new quadrennium? AJ: Absolutely. It’s so interesting, knowing what I know now, to be starting a new cycle. We just started camp a few days ago, and that camp will last until departure. It’s really exciting seeing how focused everybody is—even though it’s the first year back, we’re all really locked in and trying to step up our game. We know that our competition is out there working really hard, so we are going to match that for sure. RR: Lastly—you’re a pretty funny guy, and everyone should follow you on Twitter. You’ve got jokes, which is something that is very much appreciated in the world of high-level rowing social media. AJ: Thanks! Anything I can do for the cause, you know! Follow Andrew (for the jokes, and more) on Twitter: @akjrow. Thanks very much to Andrew for taking the time, and all best for another great season on the water!